Turkish Dogs - particularly Anatolian Shepherd Dogs: Horsing Around! 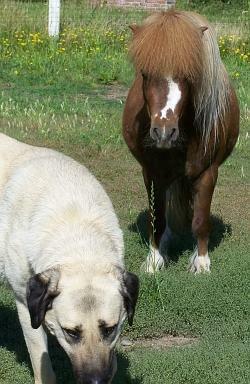 A pic of Ruya in our paddock with one of the visiting miniature horses. I haven't been finding time to blog lately, but that happens! Washington Post slideshow - Dig the Batmobile on number 14!